Founded in 1992, El Ad US Holding, Inc. is part of the Tshuva Group of Companies, one of the largest companies in Israel, with diverse interests in energy, real estate development and construction, property rentals and tourism projects. Isaac Tshuva is the visionary behind one of Israel's most successful enterprises and also maintains controlling interest in the Delek Group, a global conglomerate with holdings and investments in fuel distribution, oil and gas exploration, insurance and finance, automotive, biochemical and telecommunications. 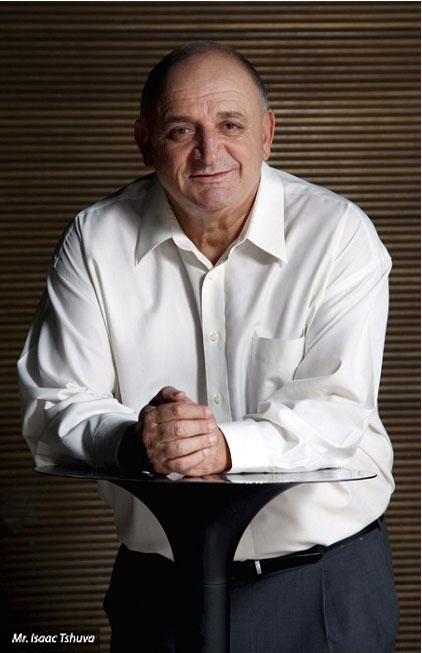 Under Mr. Tshuva's leadership, Delek has grown to become a $10 billion company. A self-made business tycoon, Mr. Tshuva began his career as a contractor for the Israeli Defense Ministry and eventually broadened his activities to include residential development throughout Israel. Building on his success in Israel, Mr. Tshuva launched El Ad Us Holdings, which focused on developing multi-family projects in New York and New Jersey. The company also purchased a large portfolio of co-op units in New York. At its outset, El Ad concentrated on prime areas such as TriBeCa, Chelsea and the Upper West Side. Partnering with top architects, El Ad designed distinctive luxury residential buildings that offer top-tier services and amenities. One of its first projects, Westbury House at 160 West 86th Street, features art-deco-like details, limestone columns and exclusive amenities such as an English-style courtyard garden. El Ad also demonstrated an early affinity for conversion projects. Among its first projects, El Ad renovated the Gatsby at 65 East 96th Street, converting the 15-story pre-war building into exceptional luxury condominium units. In 2004, El Ad made history with its $675 million purchase of the landmark Plaza Hotel. As part of the $400 million renovation, conversion and upgrade, El Ad beautifully restored the world-famous common spaces and also unveiled 180 private condominiums, 152 hotel condominiums and 130 over-sized hotel rooms, along with 160,000 square feet of retail space. Sales at this iconic mixed-use building have broken all records, with prices exceeding $6,300 per square foot for residences and $4,300 per square foot for hotel condominiums. El Ad has also acquired other historically significant buildings for conversion and upgrade, including The O'Neill Building, New York City's first department store; The “Gift Building,” a former wholesale showroom built in 1906 and situated on Fifth Avenue overlooking Madison Square Park; and 21 Astor, an 11-story commercial building constructed in 1892 in a Romanesque-revival style. Among its most notable new construction projects, El Ad has commissioned world-famous architect Daniel Libeskind to create a 54-story tower above an existing 17-story building at One Madison Avenue. Following its successes in New York, El Ad set its sights on other top markets in North America. In 2008, El Ad opened The Carlyle, Los Angeles, the last high-rise built in the world-famous Wilshire corridor between Beverly Hills and Westwood. El Ad is now in the midst of launching an ambitious b rand-expansion campaign, bringing Plaza-branded properties to top-tier markets around the world. The first project in the pipeline will be The Plaza Hotel, Las Vegas, an ultra-luxury hotel, resort and casino featuring 3,500 luxury hotel rooms, 700 residences, 300,000-square-foot spa and health club, 100,000-square-foot casino, 300,000-square-foot convention center, 500-square-foot retail component, 115,000-square-foot restaurant and bar space, and 40,000-square-foot theater.